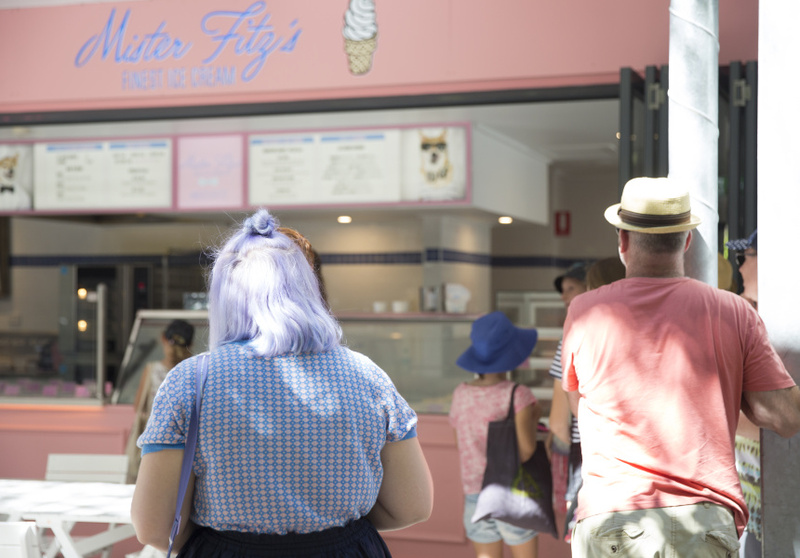 You’ll recognise Mister Fitz as the pastel palace on Little Street in Fortitude Valley and Grey Street at South Bank. It serves an array of housemade ice creams. Owner Damian Griffiths (Limes Hotel, Doughnut Time, Alfred & Constance, Les Bubbles) was inspired by a day spent at an ice-cream bar in San Francisco. 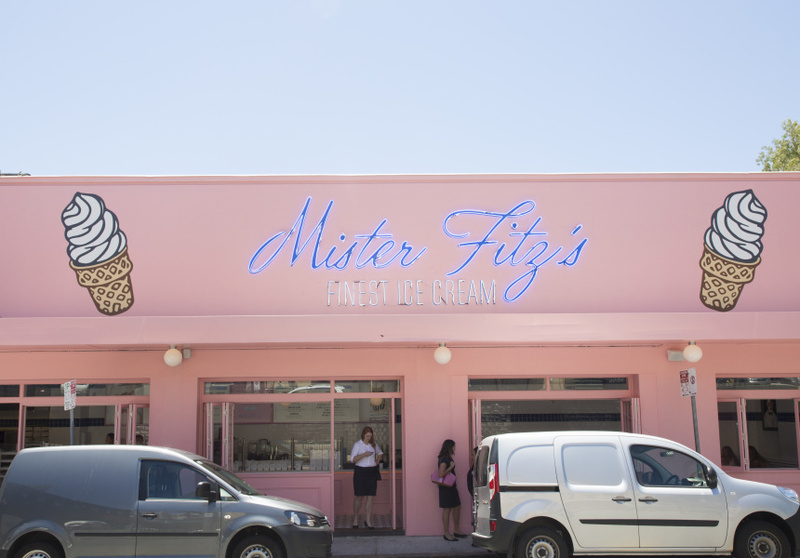 From his trip and his Grandmother’s own homemade ice cream, Mister Fitz was born. 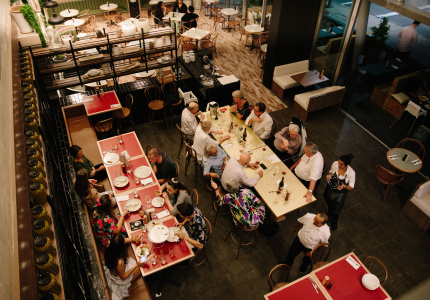 The space is a throwback to ‘50s ice-cream parlours, with a sophisticated modern twist. 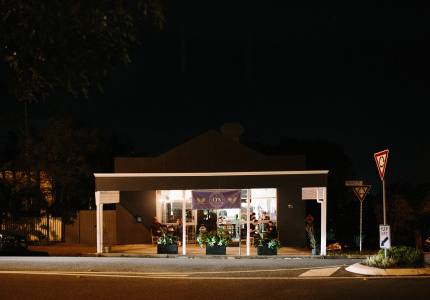 The Fortitude Valley space is a diner exclusively in baby blues, pinks and whites. 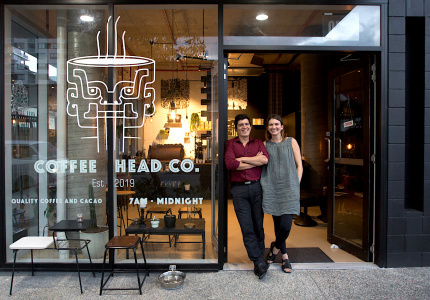 The South Bank store is a hole-in-the-wall, sitting between its kin Chester Street Bakery and Doughnut Time, with space to sit in the shade. The main menu item is customisable ice cream sandwiches. Each of the flavours are made from scratch, as are the add-ons and homemade cookies, which form the “bread” for your ice cream sandwich. Try the classic Nutella option; Griffiths’ favourite, coffee and cookies; or splurge with your own original creation. 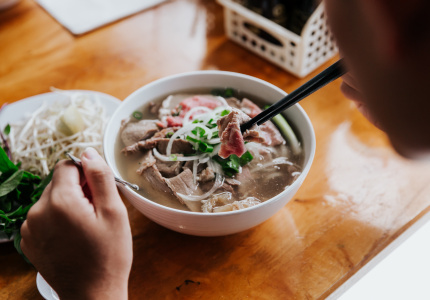 There are no dairy-free or coeliac options, though gluten-free flavours will be invented down the track.